Explore the world as Reynald Fox, an archeologist on an expedition to recover a set of ancient, cursed artifacts: The Golden Scarabs. Discover new worlds, solve puzzles, dig underground, and defeat cursed creatures as you attempt to restore nature to its original splendour in this whimsical puzzle-adventure game! 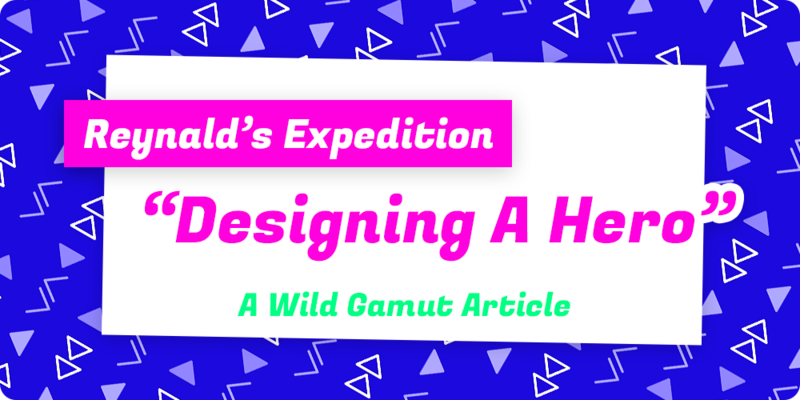 Reynald's Expedition started as a weekend game jam game titled "Tricky Trot" based on the theme of using a single mechanic for multiple purposes. It was a simple game where digging was the key mechanic and you had to solve a string of puzzles by using your digging drill to break walls, attack, and dig to swap between the underground and above-ground layers of the puzzle boards. As we approached the end of the jam, we quickly realized that the concept had a lot more potential and decided to continue its development to turn it into a full title. In this article, we wanted to share the creative process we went through when creating Reynald, our eager archeologist! 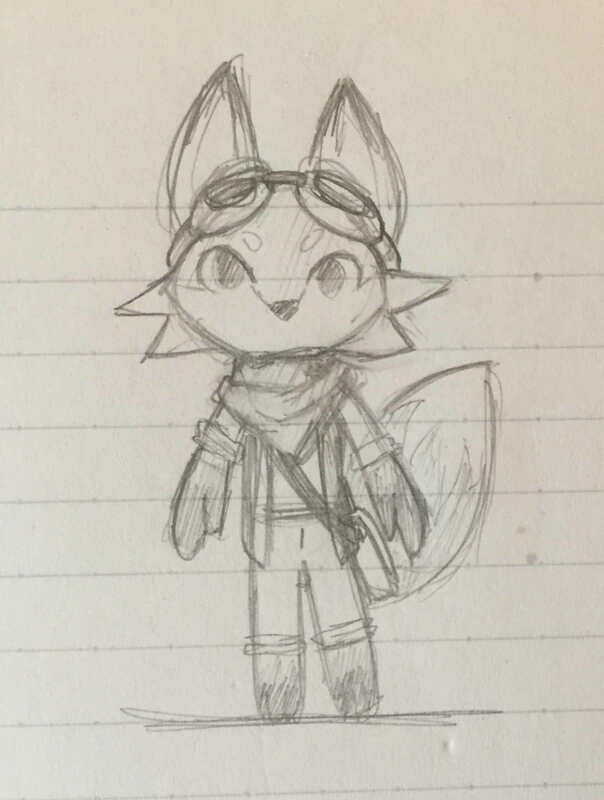 Back when Reynald’s Expedition was conceived at the Game Maker’s Toolkit Game Jam (GMTK Game Jam), coming up with a main character was not much of a priority. We were mainly focused on getting a completed game done within the game jam’s three day time limit. We knew that we were making a simple puzzle game and we needed a simple character to match. Because of these constraints, Reynald started out as a nameless critter that we had to keep as simple as possible. We thought that giving him a cute design would excuse his simplistic, low poly modelling, while also keeping him as easy to animate as possible. Our game was tile-based and built around digging as the main mechanic, so the character had to fit the sharp style of a drill while also being small enough to fit in a single tile. In our minds, a fox – what with their simple features and defined edges – was an obvious choice. After some quick modelling, we finally had a main character! You can tell that Animal Crossing was one of our primary inspirations for the look. His model stuck to the original sketch’s feel pretty well, although we did get rid of the eyeglasses. To save on time and animation complications, we made his outfit a simple texture and separated his arms from his body. 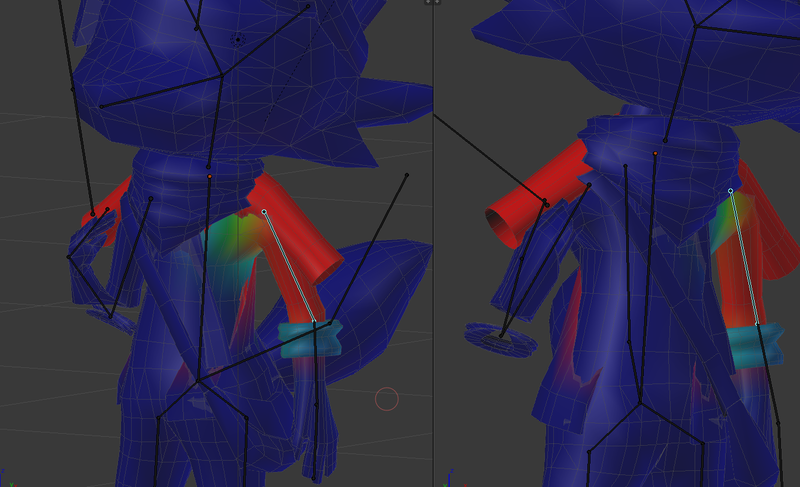 In simple models, separating the limbs reduces the chances that the shoulder joint gets deformed when posing the model. This made animations much easier to create under such a tight deadline. After the GMTK Game Jam, we decided to take this prototype and turn it into a full-fledged game. This prompted us to rethink the character from the ground up. Not having a theme or solid concept around the world and characters is acceptable at a game jam, but not in a real game. After some brainstorming, we came up with a proper setting, theme, and story. 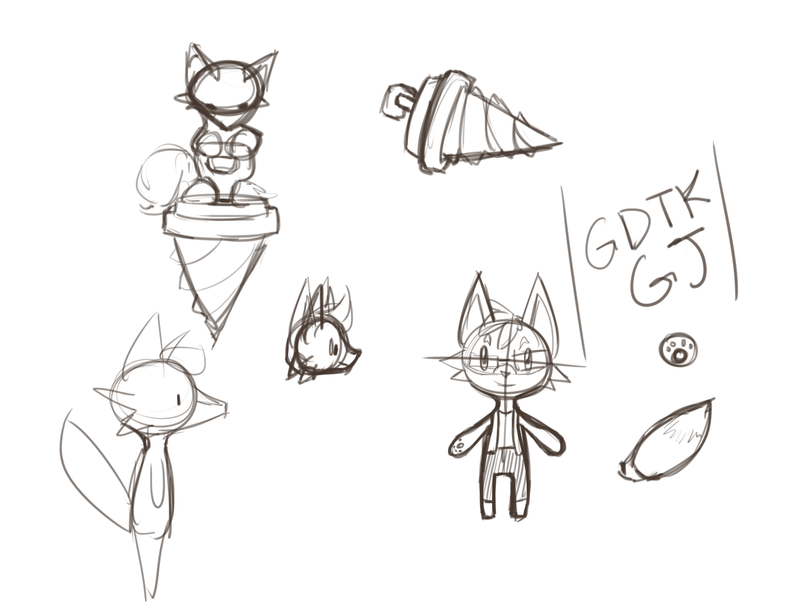 After that, it would be fairly easy to redesign the main character to fit that new world. But his design and look would also be based on his story: he needed a purpose for his new design to emphasize and a personality for his look to reflect. We started by working on his new proportions. We wanted them to match the drill as well as give him a more mature feel. And seeing as the character was an archeologist and digger, albeit just at the start of his career, we replaced his original outfit with something a little more fitting. He got rolled up sleeves, a scarf to cover his mouth from the dust that comes along with excavation sites, a satchel to store his equipment and notes, and we even restored his eyeglasses in the form of goggles, to help keep the dirt out of his eyes! After a final pass-through and sketch, he was ready to model. This new design did come with a few problems, however. Adding more detail meant model clipping was more likely to occur which, without the right techniques, can be a tedious problem to deal with. We also separated the clothing from the body model. Doing this would allow us to give his clothing a more natural and free-flowing look by adding weight to his shirt and allowing us to animate his outfit separately. Although that did bring along a whole new set of issues we had to deal with. 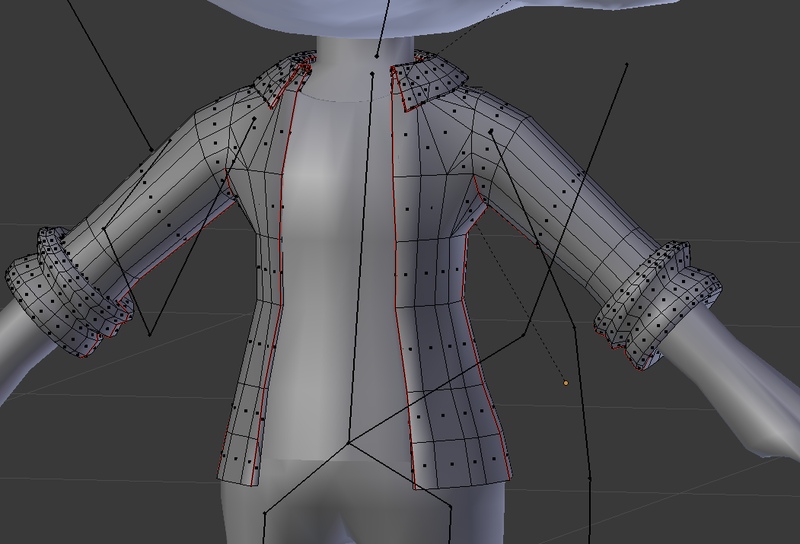 These issues were mostly caused by the "skin" model overlapping with the clothing, so the solution to this was to thicken the clothing so it stuck out a bit further from the body, and remove sections of the skin model that were deforming the worst. We then made multiple alterations to the weight paints to make sure everything was moving correctly. It must have taken us about two weeks to get it just right! 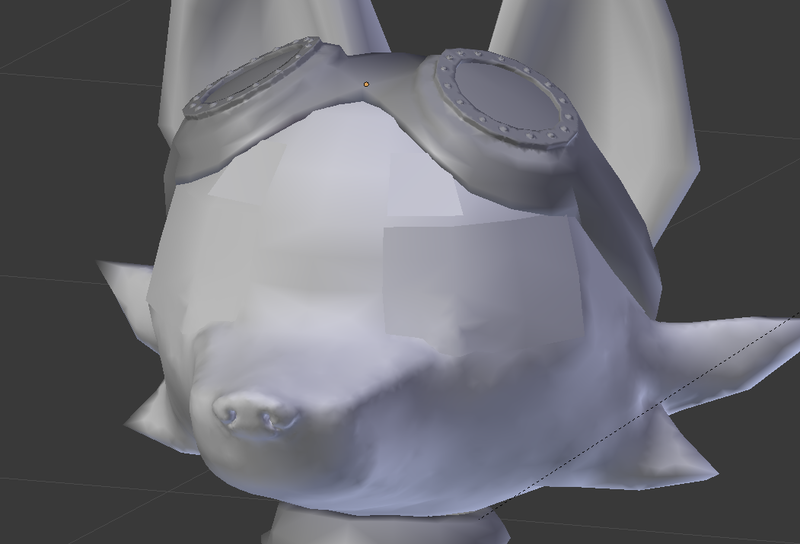 We also briefly discussed adding even more detail with normal mapping and sculpting, but the idea was eventually scrapped as we felt like adding that detail was not necessary and would actually take away from the character’s whimsical appearance. Especially when he is displayed at such a small size on screen. 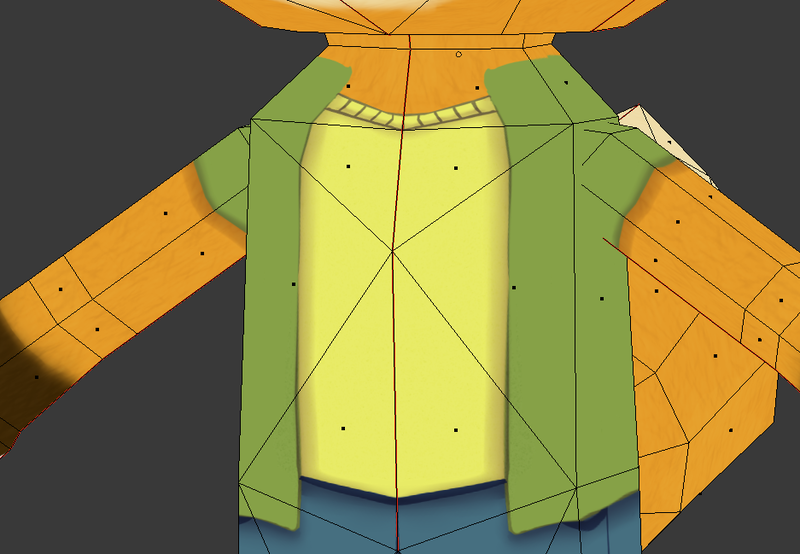 Despite that, however, we did end up giving Reynald’s eyes more detail, switching them from the previous single texture-only to two overlapping polygons. This would allow for a broader range of expression. The appearance of his eyes, as well as the system behind their functionality, were inspired by “The Legend of Zelda: The Wind Waker” and the more recent “A Hat in Time”. And here is Reynald’s current (and potentially final) look! We feel that he’s definitely ready to solve some puzzles and discover what's lurking underground, don’t you agree? As always, we’d love to read your feedback, suggestions, and opinions in the comment section below! And if anything is unclear or you’d like more elaboration on a certain aspect of his design and modelling, please do not hesitate to ask us questions! This article was originally posted on Patreon! We cover the progress we've made last week and cover what we plan on working on this week! It's time for this week's status update! We'll be breaking down the work we've done in the previous week and what we plan on working on this week. 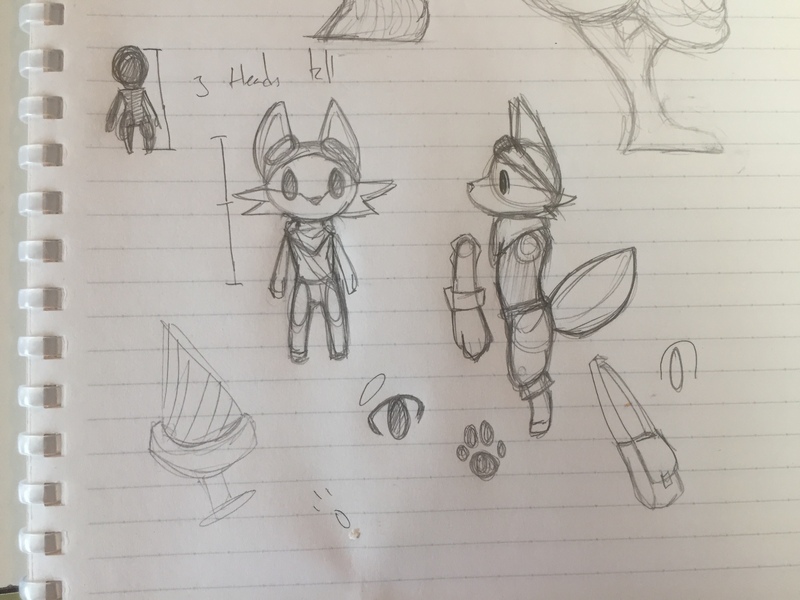 A quick behind-the-scenes dissection of how we created Reynald's eyes!